Contact Lynda at Dog Rescue Newcastle to express your interest. 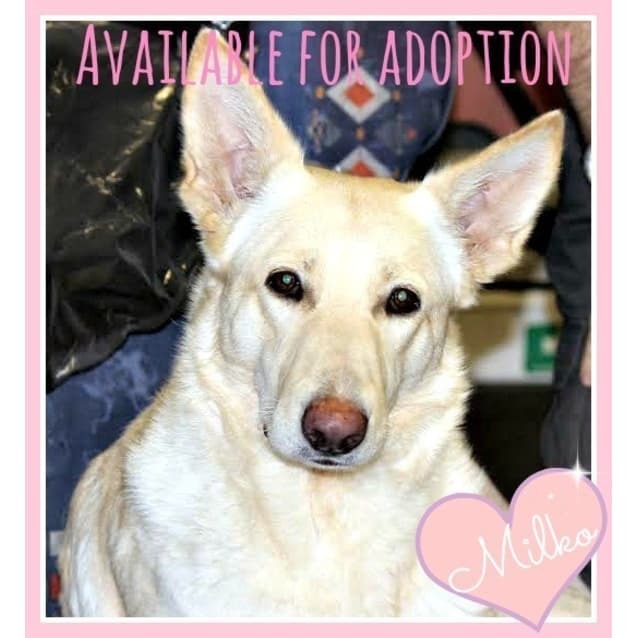 Milko is a stunning white german shepherd, 3 years old. 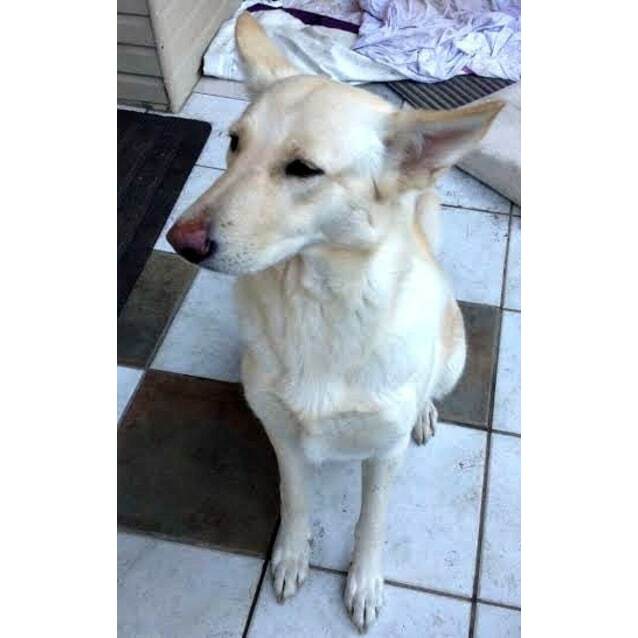 White German Shepherds, sometimes known as Swedish Shepherds, are quite rare, and so too is the temperament and gentle nature that this girl has been blessed with. She is one of those dogs who will leave an impression on you, as most dogs do, but the kind of impression that continues to touch you throughout the years, long after she herself as passed on. Milko has a beautiful soft, rich cream coat, like velvet. It requires no special grooming except a brush from time to time. It’s thick and luxurious, and it’s touched here and there with just a whisper of gold. Her nose is brown, her eyes are dark, and all in all she’s a very beautiful girl. 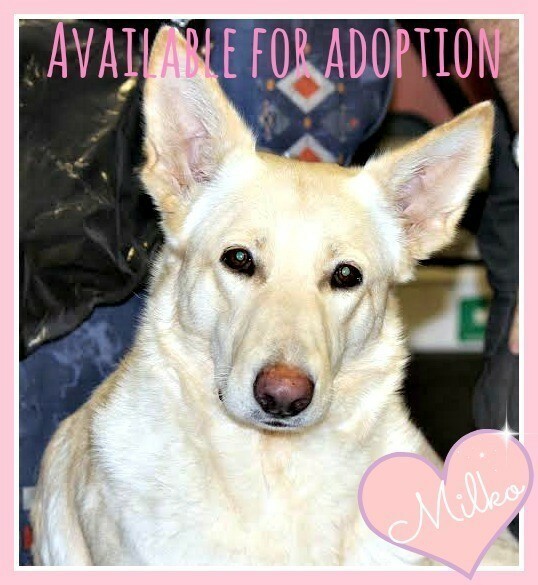 Milko has lived with children, some as young as 3, since she was a puppy. She knows their ways and doesn’t have any objection to them climbing all over her as they play in the grass. She is very gentle. She treats other dogs in the same way, seeing them all as friends and not wishing to cause any trouble. She is very happy to have a game with the other dogs, even the little ones, and if you have a look at the video included here with her profile you will see her playing with a cross pug. The best treat for Milko is a ride in the car. She sits up on the seat, looking out the windows at vthe things that pass by, as if she knows exactly where she’s going and is interested in how the countryside has changed. She travels very well. Milko has learned how to sit, shake hands, and she is housetrained. She is a quiet dog who doesn’t bark or have much to say, unless you’re giving her a belly rub, and then she can’t help mumbling with pleasure. 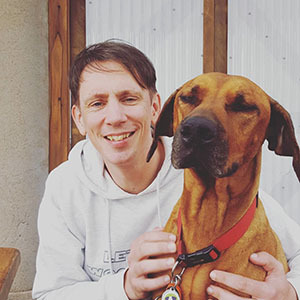 Milko has always been an inside dog, sleeping inside with her family and following them around from room to room as they go about their business. 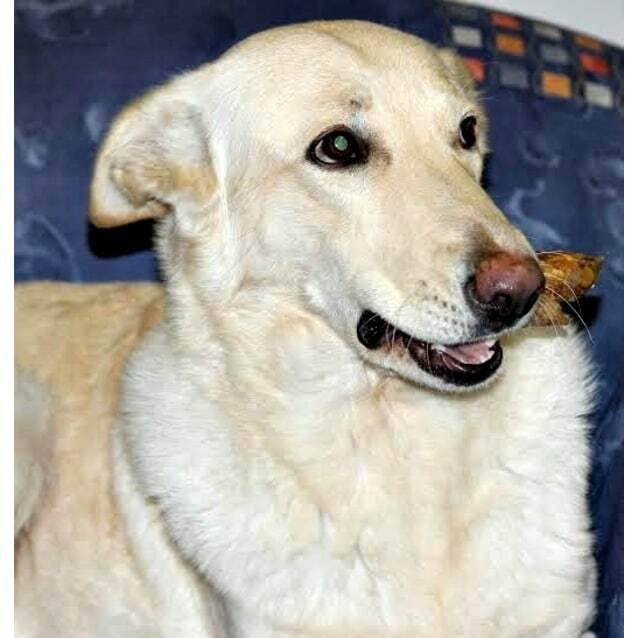 She is looking for a home that recognises how special she is, and keeps her close and as an active and much loved member of the family. If you would be interested in giving this very lovely girl a home, please call Lynda on 49871213 after 7.30 pm Monday to Wednesday or any time other days; alternatively you can text 0401 264 514 or email dogshouse@tpg.com.au. 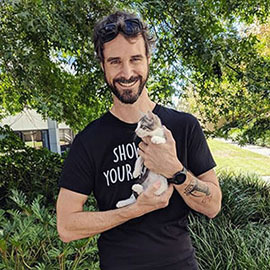 Milko is in foster care in Charlestown (Lake Macquarie).